Explore your creative side. Retreat into pottery and art workshops designed to help you contemplate your personal road map for the life you want to live. 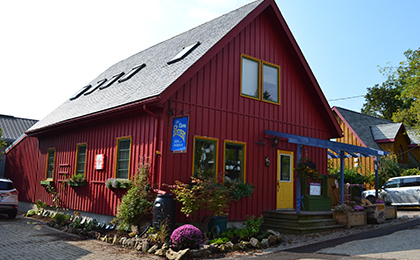 Enjoy a truly hands-on experience with guided instruction in the professional studio setting of Elora Pottery. Indulge your senses with freshly prepared meals and traditional wood-oven pizzas baked on site. The studio, located in the heart of beautiful downtown Elora, offers much inspiration.